A TARDIS hat? Put Doctor Who on your head! This excellent Doctor Who TARDIS Laplander Hat is blue and designed to look just like the Doctor's police call box TARDIS. 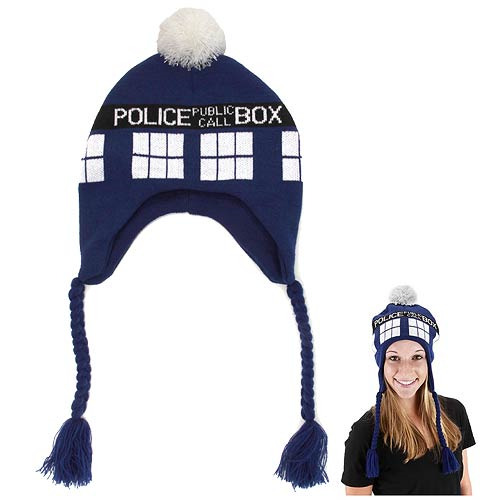 This laplander is much like a beanie, and it will keep your head amazingly warm while simultaneously shouting out your love for the BBC's ever-popular Doctor Who television program! This hat measures about 12-inches tall. Ages 14 and up.